The development of DNA sequencing and its large-scale application have promoted the development of precision and personalized medicine. DNA Sequencing helps to compare the mutated gene within different cells. However, there are often a number of features that obscure the direct relationship between genotype and disease phenotype. In recent years, CRISPR-Cas9 has been recognized as a popular and effective gene editing technology allowing scientists to alter the DNA sequence. This is done by precisely editing the living cell’s genome. Over time this modification will establish the foundation for the development of new therapies for human genetic diseases. 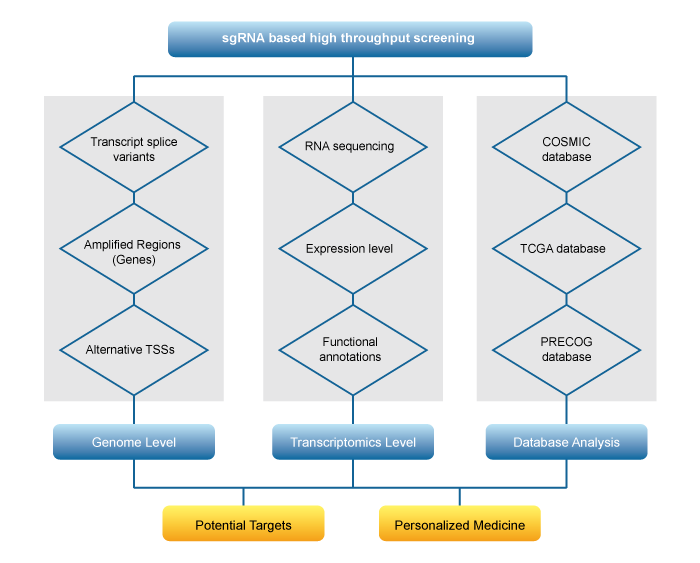 Synbio Technologies provides professional sgRNA bioinformatics services for CRISPR-Cas9 system. The services we offer range from sgRNA design, synthesis and gene editing, to gene expression profiling analysis to chromosomal region with DNA copy number statistics based on sequencing results as functional analysis. These one-stop services have allowed Synbio Technologies to become a top-tier DNA synthesis technology company. In doing so, we heavily rely on our experienced bioinformatics engineers to meet our customizable bioinformatics data analysis requirements. Combined with professional databases such as PRECOG, TCGA and COSMIC, we can analyze gene expression levels, gene mutation rates and relevance of clinical prognosis. This allows us to provide solutions for potential drug targets and personalized medicine. It could also help scientists find more genes serve as therapeutic targets. Experienced in 13 model species for CRISPR-Cas9 sgRNA design, which can be customized for specified requirements. Professional bioinformatics analysis team with scientific scheme, in-depth data mining to generate a reliable and flexible data report. Agriculture, microbiology, environmental biology, oceanography, human microecology, etc. The genomes cells were infected in different stages with viruses carrying sgRNA by CRISPR-Cas9 library. The cells were then sequenced with next-generation sequencing technology. We first evaluated the effect of sgRNA knock out. 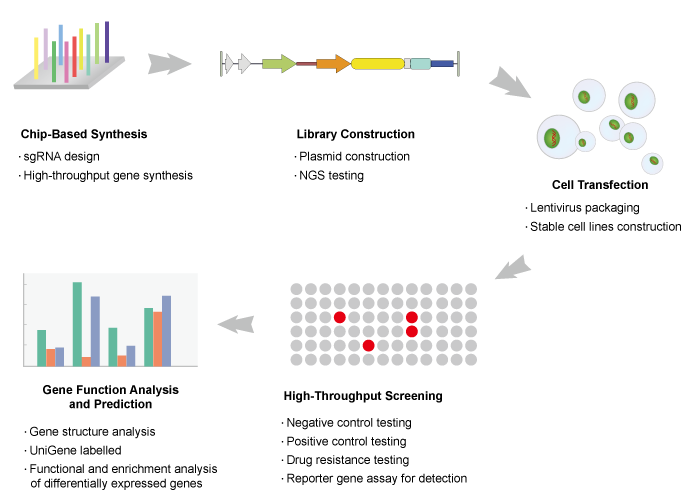 Secondly, the enriched or deletion genes were analyzed and compared to screen the genes and targets for cell survival or drug action by functional annotations such as GO and KEGG . Finally, the targets were further analyzed by combining the cancer database and mutation database.